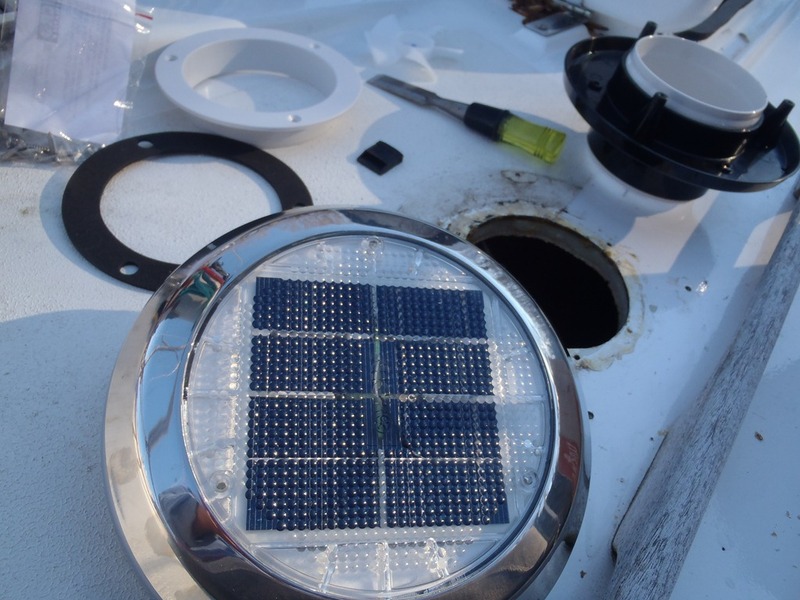 Before leaving on our trip to the Bahamas in 2011, we installed new solar vents on Velocir. 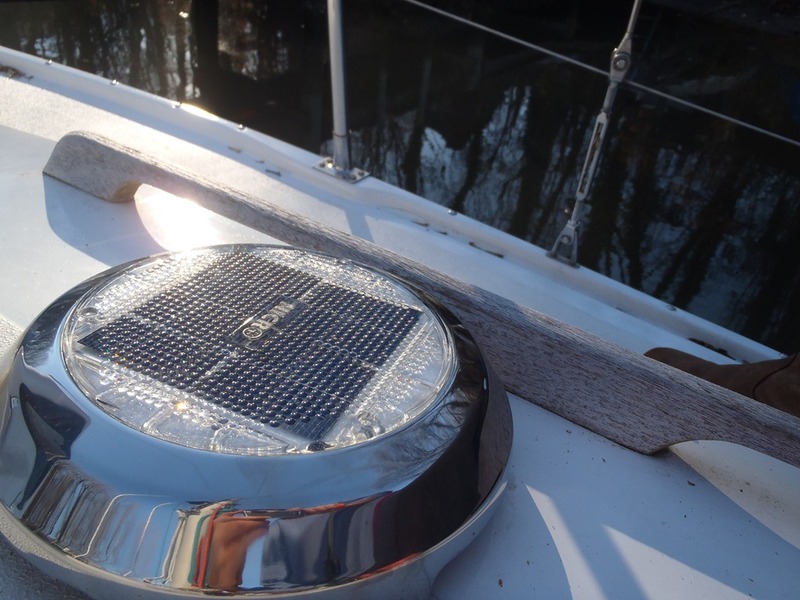 We had seen many older solar vents in boat yards still going strong after many years and much neglect. After taking the old vent out we waited a few weeks for a new one (free under warranty) to come in the mail. 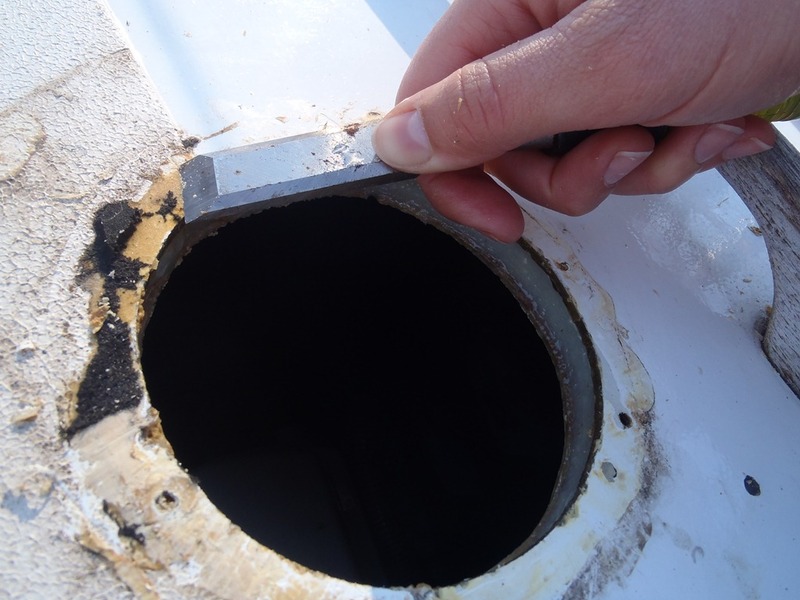 Then, Amelia installed it by lightly chiseling off the old foam ring and Dolfinite sealing compound. Mineral Spirits and kerosene also work really well at getting Dolfinite off. We put fresh bedding compound, Dolfinite, down before installing the base. 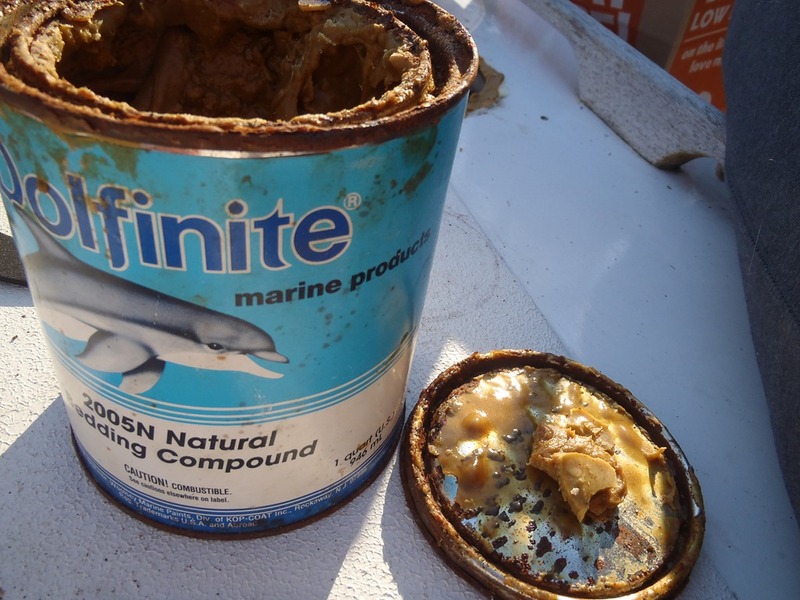 Contrary to what you might assume, Amelia doesn’t just use Dolfinite because there is a cute dolphin on the label. The other advantages are that with age, the bedding compound is still easy to remove and reapply. It doesn’t easily dry out under basic storage methods. (It is messy to apply though, comically so, like peanut butter). The base fit right in. The white part of the base slides up and down, allowing air in/out or cutting it off. There is also a handy bug screen. And, Viola! 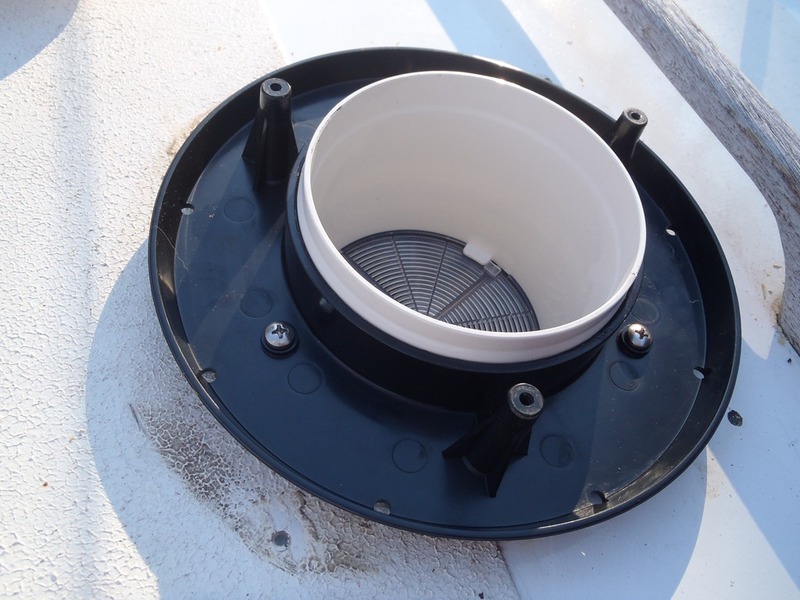 A beautiful new and working solar vent. Aren’t warranties great?